The Galileo satellite navigation system has been in the news a lot this week, and now comes word from the European Global Navigation Satellite Systems Agency (GSA) that Galileo Satellites GSAT0215, GSAT0216, GSAT0217, and GSAT0218, launched in December 2017, have been commissioned for operational use. Since October 12, all Galileo satellites that were launched last year (in December) are usable for service provision, according to the GSA. NAGUs 2018023, 2018019, 2018020 and 2018018 announced the commissioning of Galileo satellites GSAT0215 (E21), GSAT0216 (E25), GSAT02017 (E27) and GSAT0218 (E31), increasing the number of satellites that are available for service provision to 18. Earlier this week, it was reported that the Federal Communications Commission is set to vote on whether signals from Galileo can officially be used in the United States. To read Inside GNSS’ take on this, click here. Galileo satellites Nicole (GSAT0215), Zofia (GSAT0216), Alexandre (GSAT0217) and Irina (GSAT0218), were launched on December 12, 2017 at 18:36 UTC, from the Guiana Space Centre (CSG) – Europe’s Spaceport in French Guiana — with a nominal duration of 3 hours, 55 minutes and 45 seconds from lift-off to separation of the satellites. For more details, read: Successful Liftoff: Ariane 5 Rocket Payload Carries 4 Galileo Satellites. The Arianespace Ariane 5 has placed the four Galileo satellites into MEO (Medium Earth Orbit) circular orbit, at an altitude of 22,922 km above sea level. 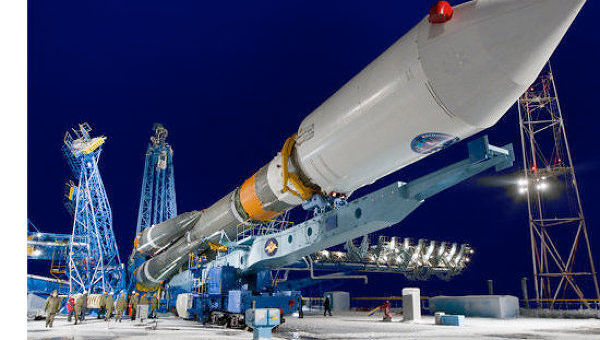 The launcher carried a total payload of approximately 2,860 kg. Each of the four satellites presents the following features: (Chart below courtesy of GSA). Updated information on the status of the Galileo constellation can be found in the Constellation Status section of GSC website. Moreover, to receive NAGUs automatically, register to the GSC web portal. Since Galileo Initial Services were declared in December 2016 more than 100 million devices are using Galileo today. To keep track of Galileo-enabled devices serving a variety of needs as they become available, check out: usegalileo.eu. The Galileo Initial Services allow the use of Galileo Open Service (OS), which enables a free of charge, global ranging, positioning and timing service for the OS users. Galileo is interoperable with the GNSS constellations (GPS, GLONASS, BeiDou). By offering dual frequencies as standard, Galileo is set to deliver real-time positioning accuracy down to the meter range. If you have any questions about Galileo, you are invited to contact the GSC Helpdesk. Open Service (OS): Galileo open and free of charge service set up for positioning and timing services. High Accuracy Service (HAS): A service complementing theOS by providing an additional navigation signal and added-value services in a different frequency band. The HAS signal can be encrypted in order to control the access to the Galileo HAS services. Public Regulated Service (PRS): Service restricted to government-authorized users, for sensitive applications that require a high level of service continuity.